This cheese sauce has been tweaked and perfected quite a lot over the years, but it wasn’t till last year that I started adding chipotle to it to spice it up a bit. Prior to adding chipotle, I would add dry chili powder, pepper jack cheese, regular Tabasco, and sometimes even pickled jalapeno juice to give it some kick. None of those really satisfied me, though they were all fine in their own right. But once I discovered chipotle Tabasco, I realized I’d finally hit upon the perfect flavoring for cheese sauce! I use this cheese sauce on many things, but most notably nachos (of course) and cheese fries. I found that I reference this recipe a lot in many of my other recipes, so I decided to create its own post for easier reference in the future. But feel free to use this creatively in your own dishes! Melt butter in a saucepan over medium heat. Add flour and whisk quickly to combine. Allow to cook for about 2 minutes. 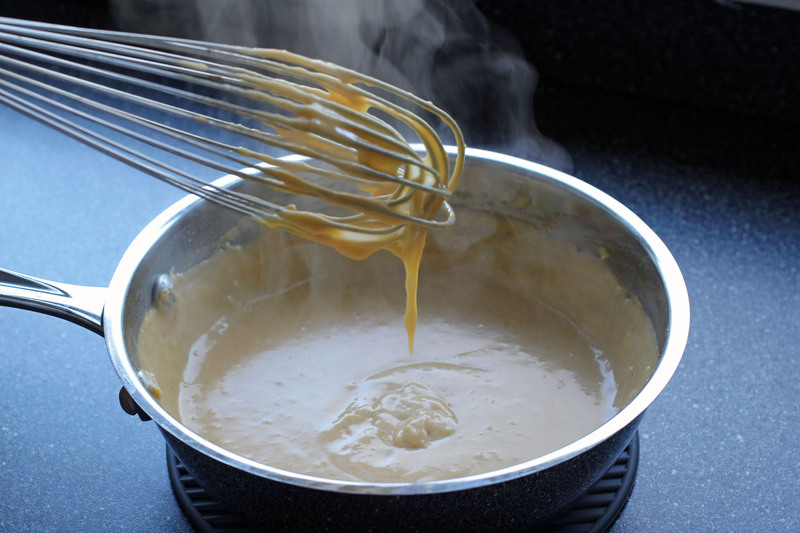 Whisk in the warmed milk, whisking constantly until it thickens. Once it thickens, lower the heat to low. Season with salt and pepper as desired. Add shredded cheese and whisk gently until completely melted. Finally, add chipotle Tabasco sauce and whisk to combine. Feel free to add more or less to your heat preference. Use this cheese sauce to top anything you’d want to top with cheese sauce!